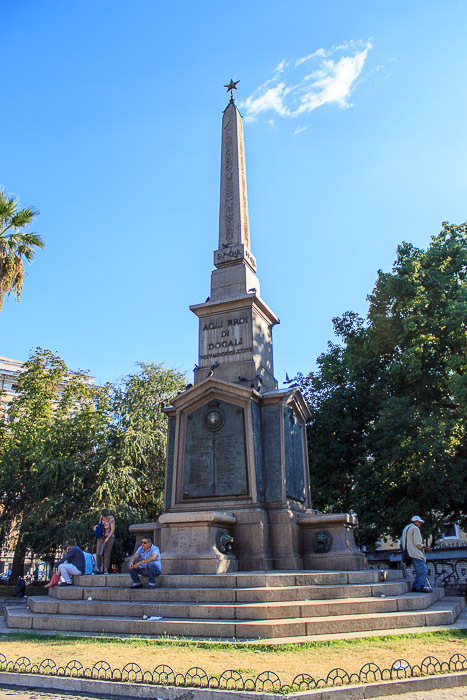 The Dogali Obelisk is about 9 feet tall (20.8 feet with base). 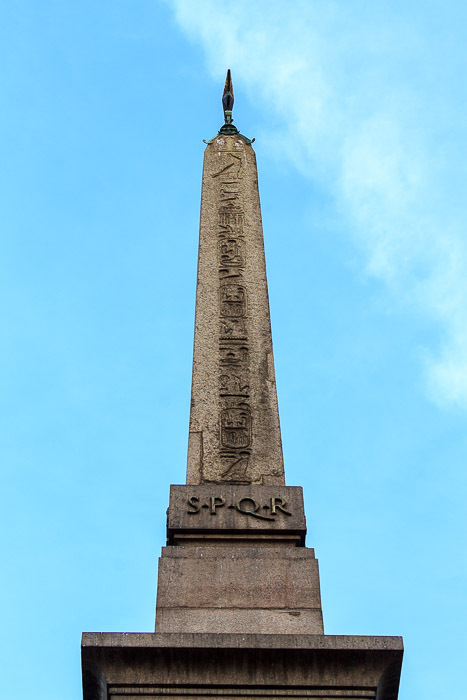 The obelisk originally stood in Heliopolis, but was brought by Domitian in the late first century AD to Rome. It was erected in the Temple of Isis (a long-lost temple near where Santa Maria sopra Minerva now stands). At some point in history, it was toppled, and found in 1883 by Rodolfo Lanciani near Santa Maria sopra Minerva. 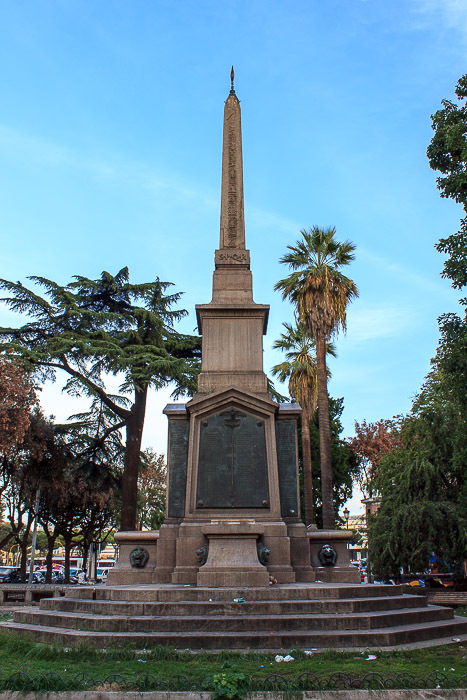 It was erected in front of the Termini Station to commemorate the 1887 Battle of Dogali, in Ethiopia, and moved to its present site in 1924 upon a base inscribed with the names of the Italian soldiers who died in that battle. See all Dogali Obelisk photos.